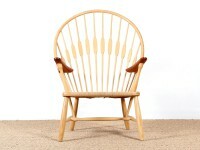 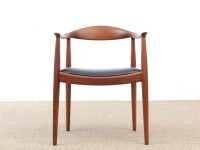 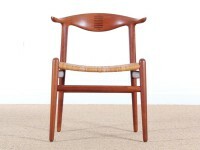 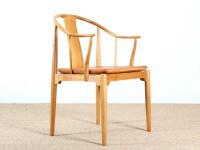 Hans J. Wegner was born in 1914 in Tønder, the son of a shoemaker. 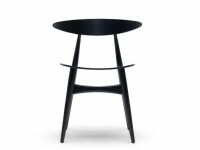 At the age of 17 he was apprenticed to a carpenter (H. F. Stahlberg) and it was at this time that he developed his first design. 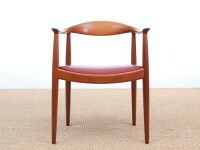 At the age of 20 he moved to Copenhagen to study at the institution now known as The Royal Danish Academy of Fine Arts, School of Design but which back then went under the more modest title of "The Artisan College." 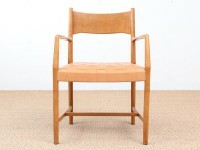 He studied there from 1936-1938, before taking further studies as an architect. 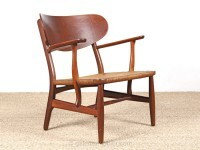 In 1940 Wegner initiated a joint project with Arne Jacobsen and Erik Møller in Aarhus, which involved fitting out Aarhus' town hall. 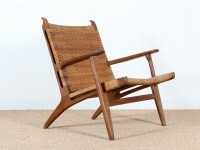 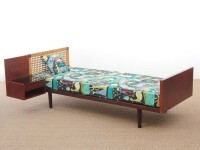 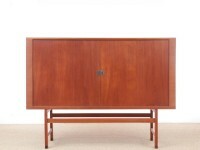 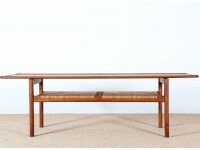 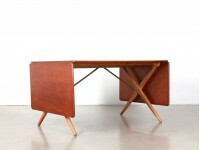 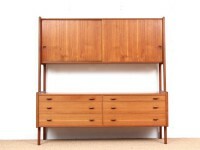 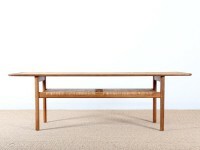 It was also in 1940 that Wegner began to work with Master Carpenter Johannes Hansen, a man who played a significant role in bringing modern design to the Danish public. 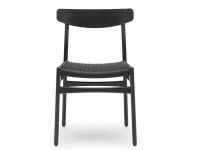 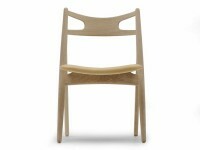 The then Copenhagen Industrial Art Museum (now Design Museum Denmark) purchased their first Wegner chair in 1942. 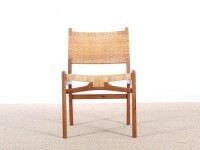 Hans J. Wegner opened his own design studio in 1943, and in 1944 he designed his first "China Chair" in a series inspired by the Chinese Emperor's thrones. 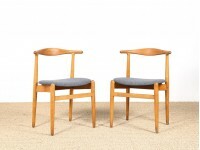 One of the chairs in this series is what is probably Wegner's most famous work "The Wishbone Chair," which he designed in 1949, and which Carl Hansen & Søn have manufactured since 1950. 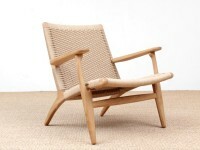 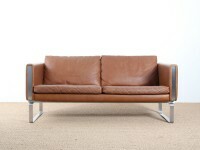 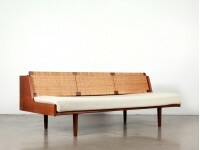 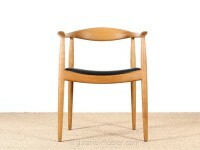 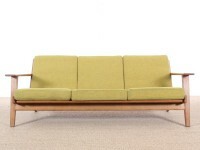 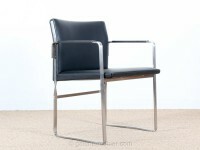 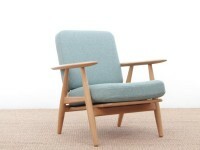 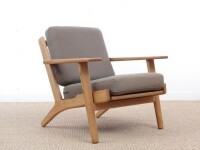 Hans J. Wegner is regarded as one of the world's outstanding furniture designers. 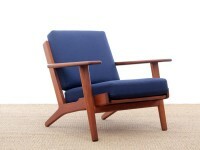 He was one of the motive forces behind the Danish Modern movement which did much to change people's view of furniture in the 1950s and 60s. 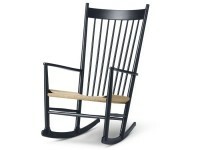 His design retain relevance for us today and his sense for details is a source of constant wonder. 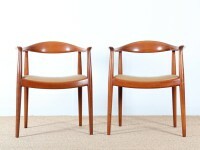 A master carpenter first and a designer second: Perfectly finished joints and exquisite forms. 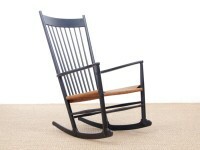 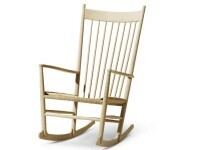 He is considered as "the master chair-maker" and designed more than 500 chairs during the course of his life. 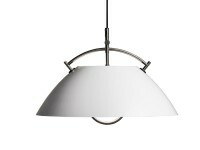 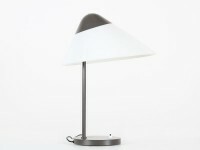 Mid-Century modern scandinavian pendant lamp L037 white by Hans Wegner, with cable lift. 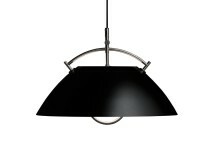 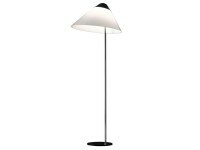 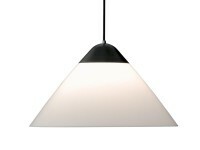 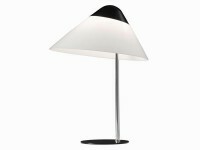 Mid-Century modern scandinavian pendant lamp L037 black by Hans Wegner, with cable lift. 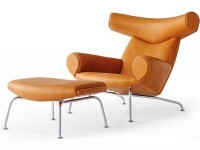 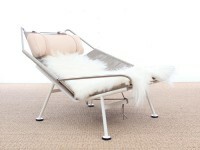 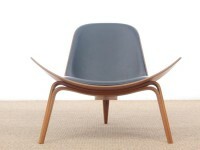 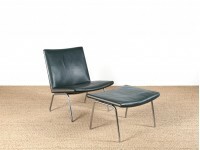 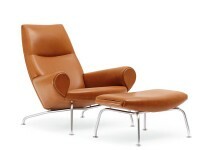 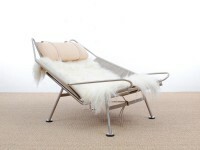 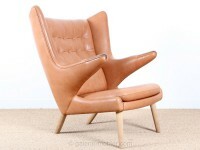 Scandinavian lounge chair with ottoman Model AP 40-42. 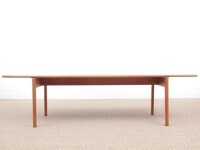 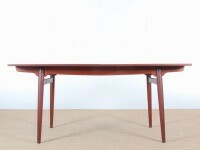 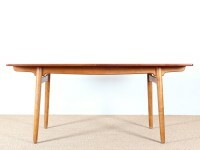 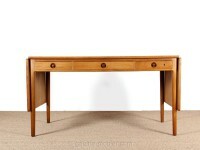 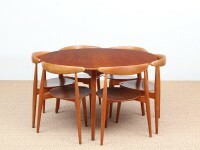 Scandinavian dining table in teak. 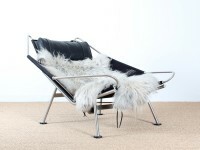 Model AT-309. 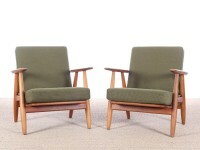 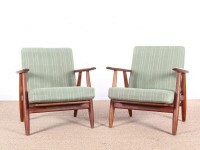 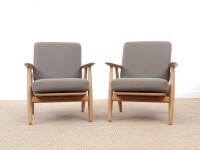 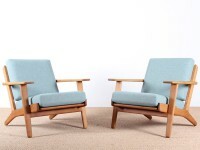 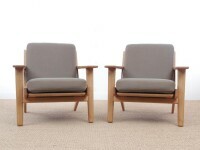 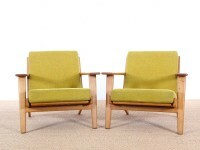 Pair of Scandinavian chairs model FH 708. 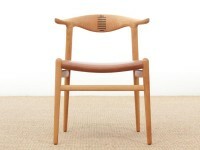 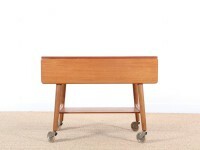 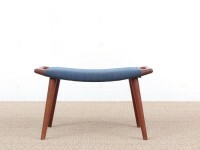 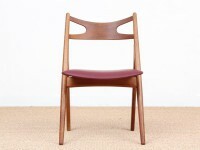 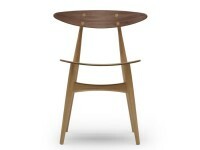 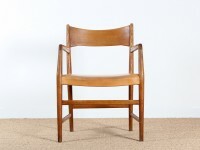 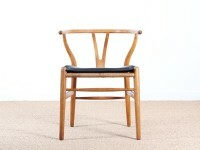 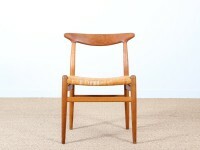 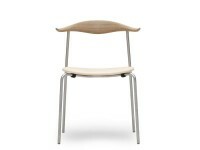 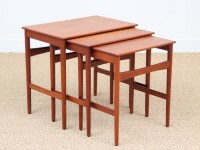 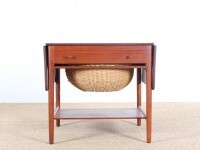 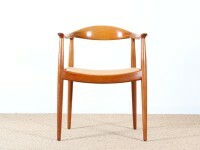 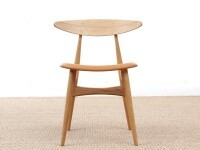 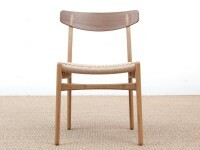 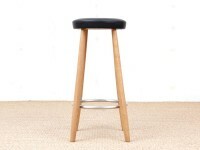 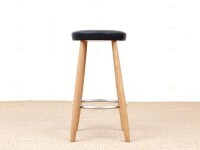 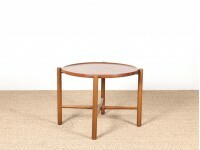 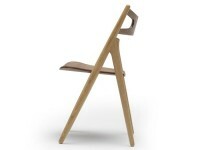 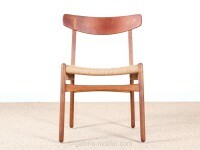 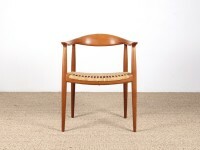 Mid-Century modern scandinavian "papa bear" stool AP-29 by Hans Wegner for AP Stolen. 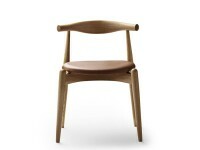 Desk chair "Århus Cityhall chair"